1) Zack Sabre Jr.: For a while now, I've heard a ton about Zack Sabre Jr. However, I haven't been able to see as much of him as I'd like. I did see his two matches with Roderick Strong this year and both were phenomenal. This weekend, Sabre won PWG's Battle of Los Angeles, defeating talents such as Ricochet, the awesome Pentagon Jr. and Marty Scurll before moving onto the finals where he then bested Chris Hero and "Speedball" Mike Bailey. As I said earlier, I haven't seen much from Sabre or PWG, but from what I've read, both Hero and Bailey have had great years for the company as well, so it was three great guys to have in the end. Sabre winning allows him to top the list this week and I could honestly see him being the guy to defeat Roderick Strong in their rubber match and win the PWG Championship. I also do realize that the image I used of him is from Evolve, but I was pressed for time. 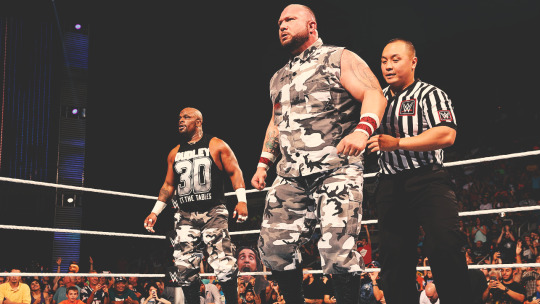 2) The Dudley Boyz: While I'd consider most of Raw to be a fun show, it was the first hour that stole the show. The highlight, after New Day's trombone led rendition of "New York, New York", was the return of the Dudley Boyz. Bubba Ray and D-Von returned, beat up the Tag Team Champions, put Xavier Woods through a table and then went face to face with the former champions, the Prime Time Players. Adding to that, they went and won their return match against the Ascension on Smackdown. Not only was it amazing that they managed to keep this as a surprise in this day and age, but the return is a shot in the arm to the tag team division and the Dudley are not guys that are far past their prime, putting on good performances in recent years. 3) Sting: Even with the return of the Dudley Boyz, Sting appearing on Raw may have been the biggest news of the week. Without many major accomplishments or performances this week, I can put a guy like Sting here. To close out Raw, Sting made his return for the first time since WrestleMania season and targeted Seth Rollins. It was then announced on the WWE Network that Seth demanded a match with Sting at Night of Champions. Granted, I think the idea of Sting losing to Triple H at Mania, shaking his hand and then coming out just to get a shot isn't the best move, but I'm excited to see Seth face Sting and it should be a ton of fun. 4) The New Day: People really need to understand just how entertained I am by the New Day each week. They've quickly gone from being just another tag team early in their run, to being must see television. The new two time Tag Team Champions successfully defeated the Lucha Dragons on Raw, after a phenomenal entrance that featured Xavier Woods playing the trombone, Big E and Kofi Kingston parodying "New York, New York", and the words "fleek" and "booty." They are magnificent. Then, they were involved in a high profile moment with the Dudley Boyz that has been talked about by pretty much everyone. To continue their run, they were again comical on Smackdown with #GiveTablesaChance and Booty signs to protest the return of the Dudleys. Also, if you haven't seen it yet, check out their interview with Michael Cole from wwe.com or the YouTube page. Comedy gold. 5) Jax Dane: Here we have a guy that I know next to nothing about, but he has to make the list because of his accomplishment this week. 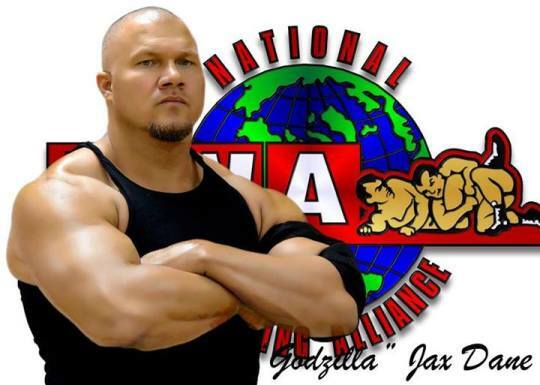 Jax Dane was able to wrestle the NWA Heavyweight Title from Hiroyoshi Tenzan. I saw Tenzen compete in the G1 Climax this year and he tried, but was pretty banged up and it affected his performances. Considering this, I think it makes sense to move the title to someone healthy. Judging by some research that I've done, he's had tons of success in NWA since debuting in 2012, winning the NWA Tag Team, North American and National Titles before his win of the big one. Granted, the NWA Title isn't as prestigious as it once was, but this is still a win worthy of making the list.